Today is the shortest night of the year here in Ireland and elsewhere, depending where you are around the globe. It’s also a day celebrating short stories. Last year Short Story Day was a UK event. This year it’s grown wings and is swooping its way across the world. I have a strained relationship with short stories. I love to read them. One of my recent favorites is Sway by Nicki Elison. However, when writing them, I struggle. When it comes to writing, a story must have a beginning, middle and end but any story is simply a snapshot of time. Personally, I’m more comfortable taking snapshots with a wider lens. So why do I bother with writing shorts at all? Well, there’s something challenging about delivering plot, characterization, development, emotion and resolution in a short. Just leaping into the lives of characters at a critical moment and leaping out again. I’m forever in awe of those who can do it so effortlessly. As a reader, I don’t always have time to invest in reading a novel. Sometimes I know entering the world of a certain writer will keep me trapped there until I’m done. At those times I often turn to these bite-sized treats to satisfy my reading crazing, confident I will be whisked off on a wild adventure but returned in time for dinner. So let’s show all those shorts from writers everywhere in the world some love. Happy Short Story Day Carol! Hooray for the shortest night and for short stories! Thank you for introducing Omnific to short story day, Carol. "Personally, I’m more comfortable taking snapshots with a wider lens." 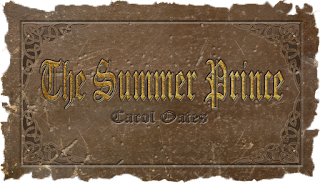 The Summer Prince was quite engaging and Unfinished looks interesting as well! Happy Short Story Day, my friend! I can't wait to check yours out! !